While I'm redecorating my room, I've been reorganising my makeup drawers and throwing out products which are well past their time. The main product I seem to hold onto most is mascaras, which is pretty clear after throwing away more than 10 of them, eek! When the painful clear out was over with, I hopped onto the internet and treated myself to a new one, as you do. I usually play it safe and opt for a Clinique mascara but this time I thought I’d change it up a bit and see what Dior has to offer. Dior isn't a brand I've tried before but always wanted to know what their products were like. When I saw one of their mascaras discounted on Buyapowa I took advantage of the offer! 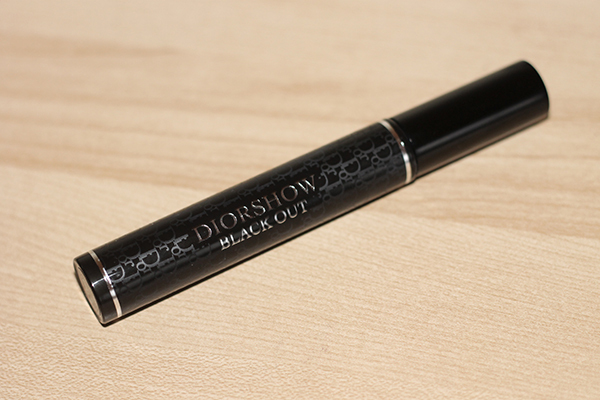 The Diorshow Black Out Mascara is quite different to other mascaras I usually use. The brush is very big and the formula is much thicker than I would normally go for. I’d always had it in my head that the thicker the formula was, the clumpier the mascara would go but that’s not necessarily the case with this one. The brush is also sort of pointed at the tip and gets bigger towards the other side so it helps catch all the corner lashes really easily. The huge wand makes catching all the lashes so easy and quick, while the formula helps create volume and length on the lashes. I have hooded eyes so the best way to show mascara is with my eyes closed. As you can see, the length the mascara gives is great. 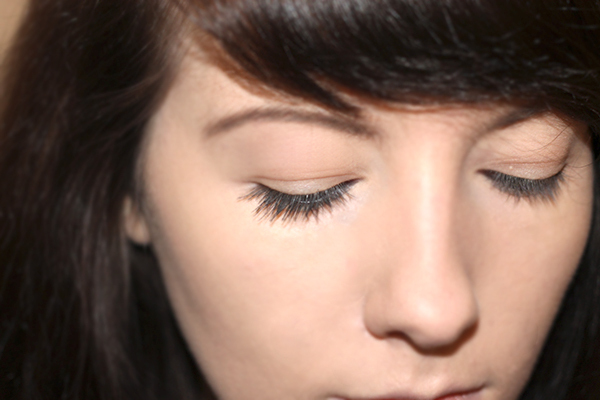 I prefer lengthening mascaras to volumising mascaras so this definitely works for me in what I look for. The main downside to the mascara I’ve found is smudging, which I’ve never experienced with any other mascara before. Don’t get me wrong, it lasts very well throughout the day but towards the end of the night it can go a bit smudgy around the corners and underneath the eye. This is probably because it’s the non waterproof version (and the fact I live in Scotland), so if you were thinking about this mascara, I’d go for the waterproof one to be safe! Overall it’s a really lovely mascara to use. It is pricey but if you can get it on discount it’s definitely worth it. I’d say it can be used for both a day-time and night-time look as it layers up really well, so you’d definitely get a lot of use out of it!